Chevelle,3 Days Grace,Breaking Ben,Non Point,10 Years,Rev Theory,Of Mice &Men,Bless the Fall,The Ghost Inside, I See Stars, and so many more! 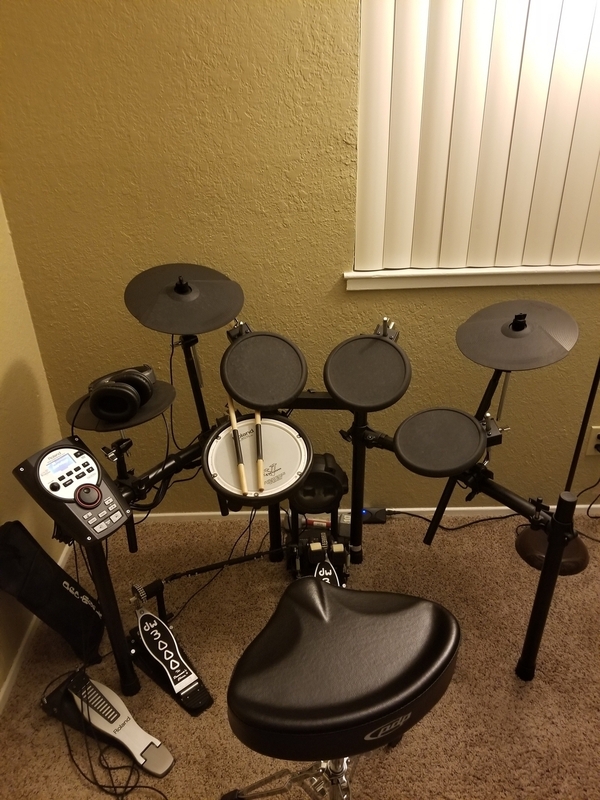 Roland TD11k electric set, DW 3000 Double Pedal,and more for now since I live in an apartment. This is great to play through a head or PA. I am also about to buy an acoustic set to gig with. I sold my old one when I moved to Cali.